How can we imagine the order of prime numbers other than in the familiar linear form of the series? By endowing it with a spatial aspect, a third dimension, for example, so that a prime space emerges. Which (new) cognitive possibilities open up when the perception of negative and positive spaces, of internal and external demarcations, is inverted? These and similar questions preoccupy Rudolf Polanszky, as do fundamental themes in mathematics and epistemology or ancient Greek schools of thought. In his sculptures, pictorial reliefs, writings, and actions, he lends them a provisional manifestation that conveys a positively poetic lightness.
] In the play of perception and experience, it seems we are compelled to decode the external image we are offered in a rational manner, and we draw on mnemonic material, available patterns of similarity, which we mold until an apparently congruent model of reference ensues. The convention on the interpretation of experience is organized and pre-formed, on the one hand, empirically via the senses and, on the other hand, by rational, deductive structures of the cognitive system. 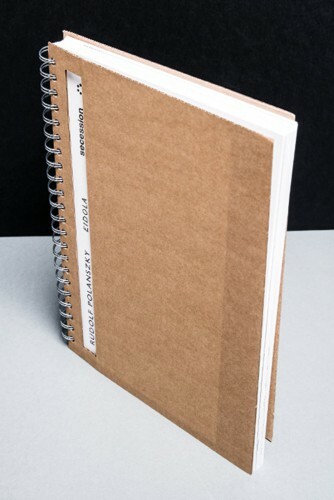 His artists book contains selected writings in the form of facsimiles of his handwritten notes complete with transcriptions.